Protected by harsh laws that ensured secrecy, the apartheid state from 1977 to 1994 constructed a sophisticated global money laundering system that facilitated the illegal purchase of weapons and weapon technology. Foreign governments, many of whom publically condemned apartheid, privately supported its securocrats for personal and political gain, as did businesses and banks in the country. These networks survived the transition to democracy. The final lecture will investigate links and continuities between the illicit dealings of the apartheid state and the crisis of state capture and corruption in democratic South Africa. Feinstein, A. 2011. The Shadow World – Inside the global arm trade. Cape Town: Jonathan Ball. Holden, P. and van Vuuren, H. 2011. The Devil in the Detail: How the arms deal changed everything. Cape Town: Jonathan Ball. Van Vuuren, H. 2017. Apartheid Guns and Money: A Tale of Profit. Jacana. Hennie van Vuuren is the director of Open Secrets. He is a past fellow of the Open Society Foundation for South Africa and has worked as director of the Institute for Security Studies in Cape Town and for Transparency International in Berlin. Hennie supports the Right2Know campaign and serves on the boards of Natural Justice and My Vote Counts. 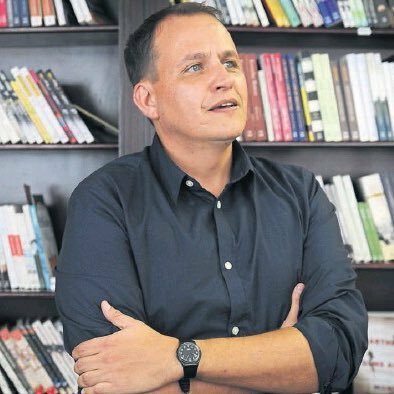 He is the author of Apartheid Guns & Money: A Tale of Profit (2017).